More events have been added! 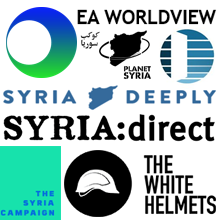 See the list below, and follow the Facebook page for updates. 6pm-9pm, at St Thomas of Aquin’s High School 2-20 Chalmers St, Edinburgh EH3 9ES. 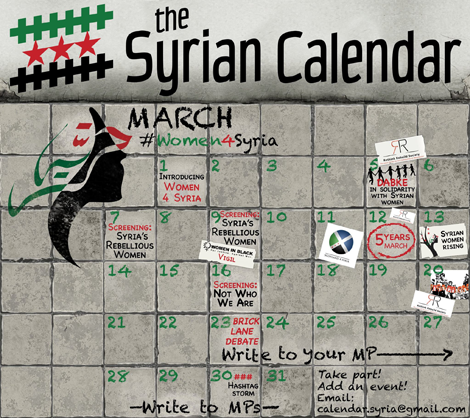 #Women4Syria will be joining the march in London to mark the fifth anniversary of the Syrian Revolution. London march assembles 12 noon at Paddington Green, London W2. 11am–5pm, at 18-32 Brentfield Avenue, Manchester M8 0TW. 12 noon–3pm, at JNR8 Youth and Community Centre, Cromwell Avenue, Manchester M16 0BG. 3pm, Meet by the Edith Cavell Memorial, St Martin's Place, London WC2N 4JL. Victoria Tower Gardens, Abingdon Street, Millbank, London. 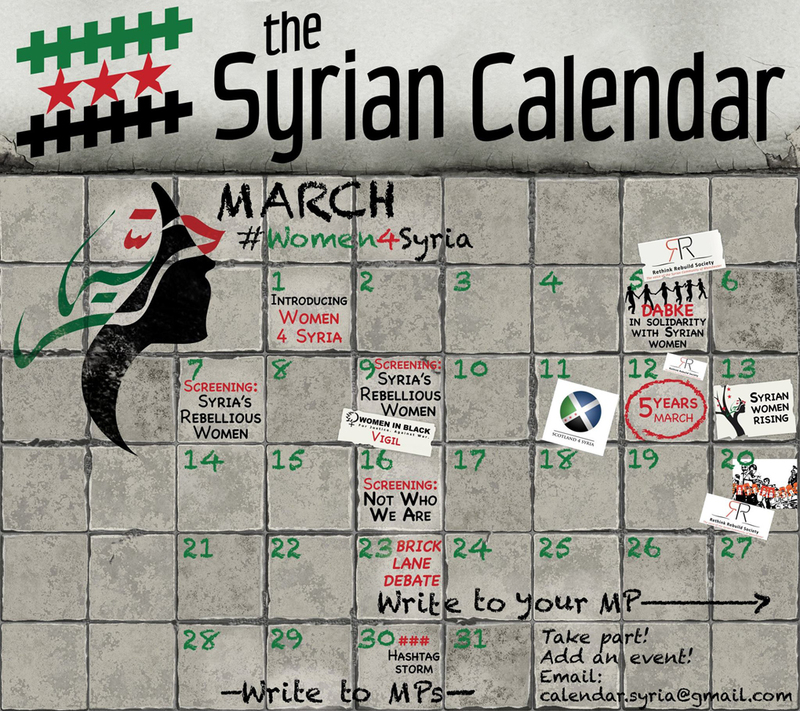 on women’s activism in the Syrian Revolution. Director Zaina Erhaim speaking via Skype to a screening of Syria’s Rebellious Women at SOAS, London, 7th March. 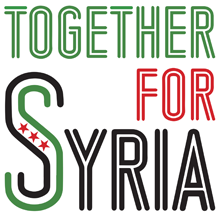 Thanks to Zaina Erhaim for speaking and to SOAS Syria Society for organising this event.